68.18 in. wide, we can calculate the size of the 1:18 scale model. The approximate size of the 1/18 scale model would be 10.089 in. long x 3.788 in. wide. The actual measurements will vary based upon how accurately the real car is modeled and how close the tooling is from the diecast manufacturer. Well, a lot of collectors enter the hobby at a young age collecting matchbox size cars around 1:64 scale. These are great entry level models because you can collect hundreds of them and still store them easily. They are also usually cheaper and more readily available. Some collectors stay with this scale and others move on to larger models. Larger models often offer a better representation of the 1:1 car than the smaller ones. Having a larger canvas allows manufacturers to more accurately model the cars. This is just a general rule of thumb as we’ve seen plenty of 1:24 scale replicas that are far more accurate than their 1:18 scale counterparts. While we’re on general rules of thumb, the larger scale models usually cost a little more than a similarly detailed smaller scale model. Often this price difference, level of detail, and space restrictions will dictate which scale a collector chooses and how many he or she can collect. One of the most popular scales of larger diecast cars is the 1:18 scale that we talk about so much. This scale can incorporate all the detail you could want while still being small enough to collect hundreds in one room. 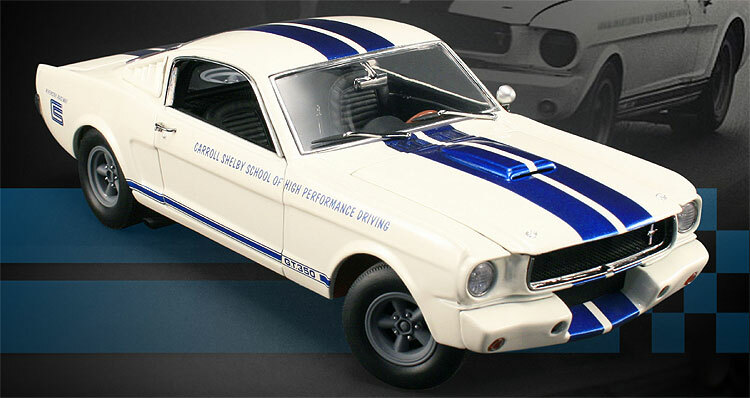 The 1:18 scale diecast world also has many manufacturers producing replicas for collectors to enjoy. From muscle cars to exotics, there is something for everyone. Collectors often opt to collect only one or two different scales so choosing the one that’s right for you can help steer your collection in the right direction from the beginning, but don’t feel limited by one scale. Just as some collectors choose to stay with one, others may opt to collect only one brand of car. If you’re a diehard Chevrolet Camaro fan, then you may want to get all the Camaros you can find in any scale available. Collecting is a hobby that we all do to make us happy. You know better than anyone what you like so don’t feel limited by scales or manufacturers, just get to collecting and enjoy everything the hobby has to offer you.